Home Adventure Looking for adventure? Come to Croatia! Croatia is beautiful – and fun as well! If you’re an adventure seeker, this is the right place for you. Croatia is an incredibly diverse playground for a lot of adventurous activities – in waters or on the land. Here’s what you can do. Rafting is an outdoor recreational activity which uses an inflatable raft to navigate a river. 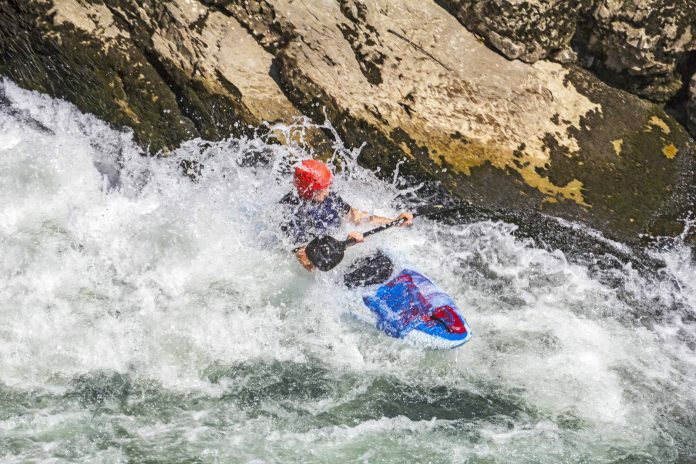 This is often done on whitewater or different degrees of rough water, and generally represents adrenaline filled and challenging experience for participants. Rafting on Croatian rivers and waterfalls is a beautiful way to experience untouched Croatian inland. You can go rafting on several rivers – ►Mrežnica near ►Zvečaj, ►Cetina near ►Omiš or ►Zrmanja and ►Krupa near ►Kaštel Žegarski. Kayaking is a bit different water activity than rafting. Here you use a small boat rather than a raft to move across the water. 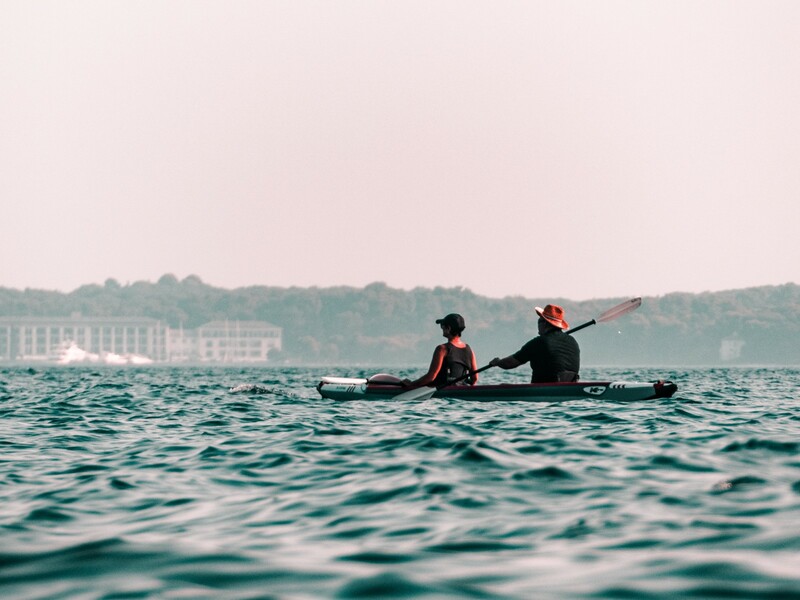 Kayaking is a slower activity in which you can look around while drifting. The best destination for kayaking is the region around the city of ►Karlovac, where four rivers flow – ►Korana, ►Kupa, ►Mrežnica, and ►Dobra. On all of them, you can go kayaking, as well as on Cetina and Zrmanja. You can also do that on lakes – ►Peruča lake near ►Sinj, ►Sabljaci lakes near ►Ogulin or Baćina lakes near ►Ploče – as well as almost anywhere on the Adriatic Sea. Oh, Croatia is perfect for hiking. Almost wherever you go, there is a small hill at least. And the most amazing is views you see when you get on top. From mountains in the inland you can see tops of Slovenian mountains, and from mountains near the coast, you have a wonderful view of the island, sea, and maybe even Italy. 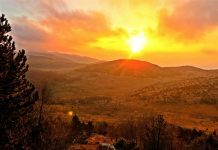 You can take the multi-day route on ►Velebit Hiking Trail which is 100 km long and leads you through the magnificent mountain of Velebit; you can explore Istrian mountains like ►Učka, wander around forests on ►Gorski Kotar mountains or even thru-hike almost all coastal mountains on the Via Adriatica trail. Riding in the off-road vehicles lets you explore Croatia fast and fabulous. 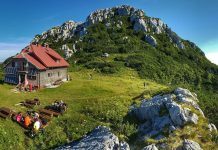 In Jeeps, you can ride on the Velebit mountain and get to know how people used to live up there, as well as visit the locations where the Winnetou movie was filmed. 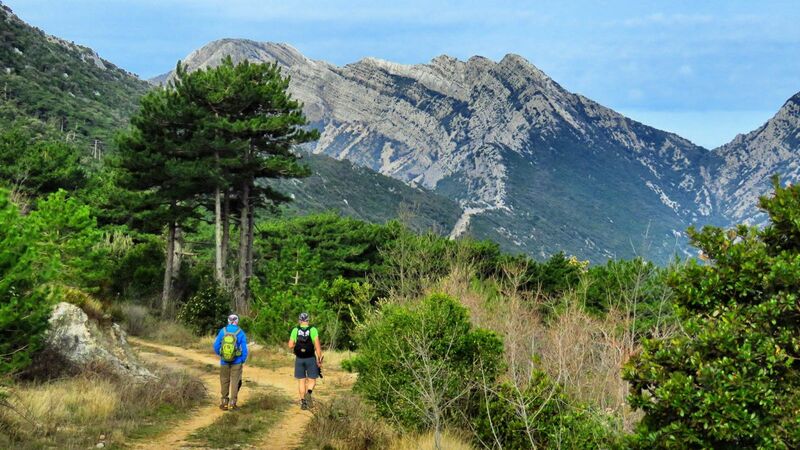 If you’re somewhere near ►Makarska, you can go to safari ride on the Biokovo mountain, visit a unique botanical garden, remains of castles and old mountain chapels. Jeep safari also lives on the island of ►Hvar, on which Jeeps take you to places where ancient Romans lived, and to areas from which you can see the coast and the mountains of Zagora. The best location for windsurfing is on the ►Pelješac peninsula. There is a small place called ►Viganj which became a favorite destination for windsurfers from all over the world. Because of a sea channel between Pelješac and Korčula, the wind that blows creates the perfect conditions for windsurfing. There are multiple locations in Croatia great for climbing. 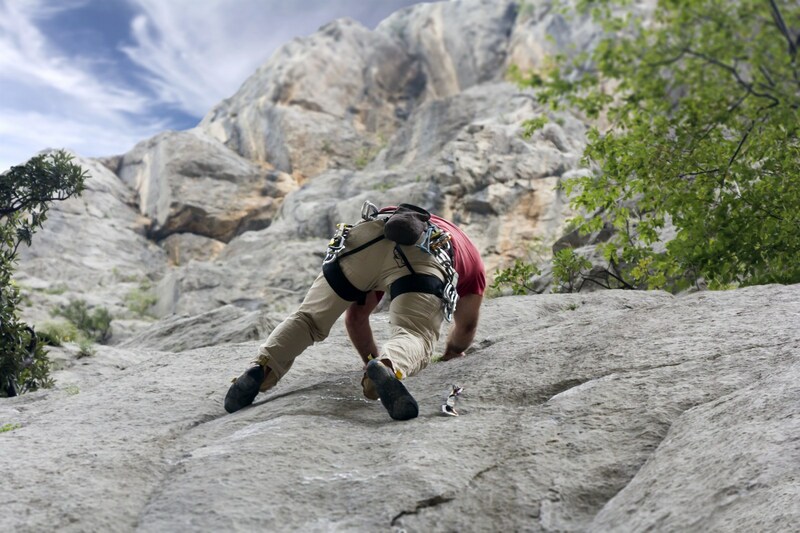 The most famous is in ►Paklenica National Park, which even hosts the International Speed Climbing Competition every spring. 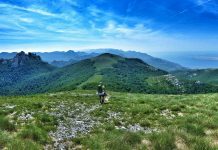 The best Dalmatian location for climbing is the Mosor mountain near ►Omiš, and the best area in Istria is on the Učka mountain, with the biggest number of climbing spots near the town of ►Buzet. If in central Croatia, you can go climbing on the ►Kalnik mountain not far from ►Zagreb. Well, this is a rather unique activity. Canyoning is a sport in which you jump in a fast-flowing mountain stream and then let it carry you downstream. The Croatian river ►Cetina is a perfect spot for it: crystal clear water flowing fast in-between high cliffs and a 50 m tall waterfall. Just be sure to have good equipment. Among the many amazing natural wonders of Croatia, there are also caves. Some caves are open for public, so you can go and explore them. One of the most significant speleological structures is the ►Cerovac Caves, located in the southern part of Velebit mountain. This is the place where a lot of archaeological sites were found, as well as the place you can find claw marks on the cave walls that were left by the prehistoric bears. The ►Modrič Cave is located next to the village with the same name near the National Park ►Paklenica. The visit to the cave is not a typical tourist visit since there are no steps, paths or lighting inside. Therefore, it is necessary to wear overalls and a helmet with a carbide lamp to walk freely around the cave. 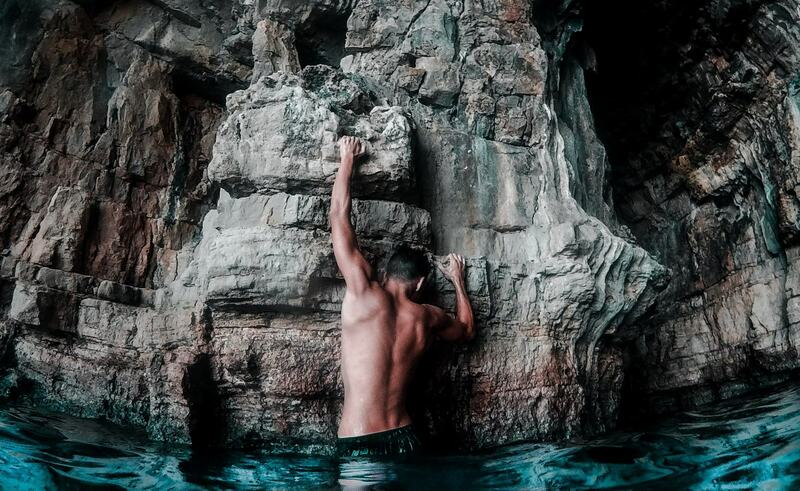 You jump from a high cliff to the sea and then free-climb back to the top – sounds like a real adrenaline rush activity! There are some fine cliffs in Croatia from which you can do that. For example, ►Marjan hill in ►Split offers both simple and advanced routes, Punta Christo beach in ►Pula is built for cliff jumping, Mala Kolumbarica beach at Kamenjak Cape has both cliffs, and a cave and Seagull’s cliffs (also in Pula) are a real natural adventure park.